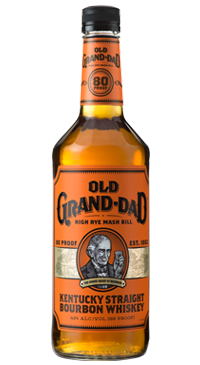 “Old Grand Dad“ was first bottled in 1882. The recipe for the bourbon contains more rye for a lighter, spicier flavour. It is characteried by a pleasing sweet and sour taste with woodsy, spice and caramel notes. Fun fact; during Prohibition, Old Grand-Dad was produced by a pharmaceutical company, the American Medicinal Spirits Co., and was one of the few distilled spirits permitted to be prescribed as medicine!